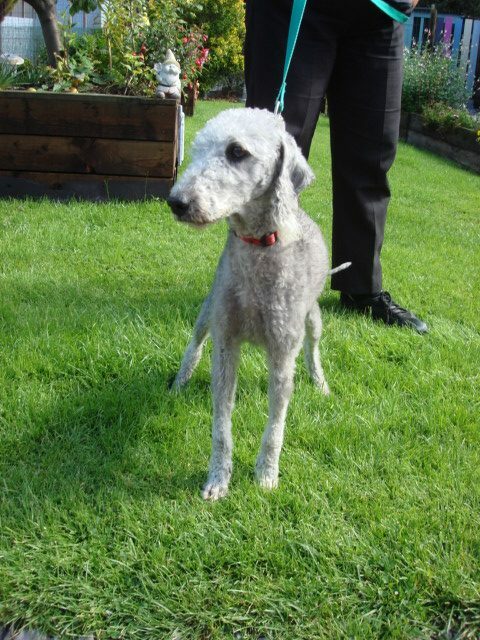 Bruce a Bedlington terrier neutered male 2 years old. Not good with other dogs NO cats. Very sweet gentle nature with people and ok with older children.